Mark Engel is married with two children. 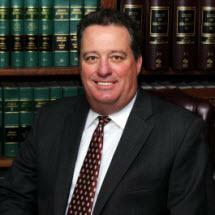 Mr. Engel received a Bachelor of Business Administration in Finance from the University of Oklahoma in 1979 and received a Juris Doctorate from the University of Oklahoma, College of Law in 1984. He was licensed to practice law in the State of Oklahoma in 1984 and is a member of the Oklahoma County Bar Association, the Oklahoma Bar Association, the Federal Bar Association, and the Oklahoma Association for Justice (Oklahoma's Trial Lawyers Association). Mr. Engel's legal career began in the insurance industry as a claims manager and corporate counsel for nine years for Oklahoma's second largest life and health insurance company. In that capacity, Mr. Engel earned a Fellow of the Life Management Institute (FLMI) designation - the hallmark of achievement in the life and health insurance industry. Mark Engel acted as an instructor for industry Life Office Management Association courses. Mr. Engel worked in the day to day handling of insurance claims and managed insurance and bad faith litigation for the company in many states. For over twenty years, Mr. Engel has been a member of this firm handling exclusively insurance bad faith litigation, representing policyholders against their insurance companies. During this time, Mr. Engel has litigated hundreds of insurance bad faith cases throughout the State of Oklahoma. He has participated as trial counsel with Steve Mansell in every bad faith case the firm has tried to a jury since 1994. Since 1999, Mr. Engel has been a featured guest lecturer at the Oklahoma Bar Association's Annual Insurance Law Update covering the bad faith insurance litigation segment " From the Plaintiff's Perspective". Mr. Engel has also been a speaker on the topic of insurance bad faith litigation at many other continuing legal education programs, convention seminars, and association meetings for lawyers, judges, paralegals, public adjusters, agents, insurance adjusters, and other insurance professionals - including the Oklahoma Bar Association, the Oklahoma County Bar Association, the Oklahoma Trial Lawyers Association, the National Business Institute, the NILS, the Southwest Claims Association, the National Association of Public Insurance Adjusters, the Veterans Administration, and the Oklahoma Association for Justice. For almost 20 years, Mr. Engel has been consistently voted by his attorney peers with an "AV - Preeminent" rating - the highest rating possible. Mr. Engel is licensed to practice in all state, federal and appellate courts for the State of Oklahoma.